Yet another “okay” book for me. 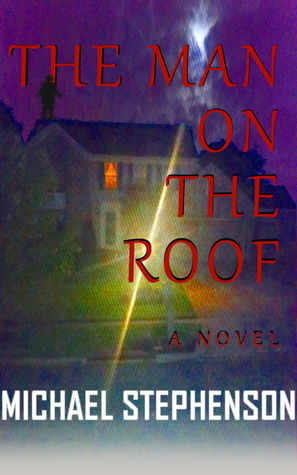 I liked reading The Man on the Roof and it was easy to get through. However, it really seemed like it took me ages to finally finish it! It’s a big book and there didn’t really seem to be an ending to the evidence piling up. Right until the end literally everyone was super suspicious and everyone could be the killer. I really liked the way Stephenson described the suspects. In the book the neighbours discover that they actually don’t really know each other and their secrets. Each suspect – each neighbour – has their own chapter simply called “suspect x”, where “x” can be replaced with the numbers 1 to 10. In these chapters you don’t get to know the name of the suspect – only their secret. So it’s quite the puzzle for the reader as well: you can try to figure out which neighbour has which secret, which made it a really engaging read. I almost got all of them right, yay! Some things that bugged me while reading The Man on the Roof were quite a few spelling and grammar mistakes and that some descriptions of characters were a little … blunt. I thought they lacked a bit of depth and the way they dealt with a murder of a kid in their neighbourhood was kind of disturbing (aka, they didn’t really seem to care about it). To end this review on a positive note: I loved how at the end of the story everything really went to shite. I love myself a good apocalyptic ending!